The term ‘Neo-Gallican’ is applied to the liturgical books used by a large number of French dioceses between 1667 and 1875, instead of the Roman liturgical books issued under the authority of Pope St. Pius V and his immediate successors. They are called ‘Neo-Gallican’ to distinguish them from the ancient Gallican liturgy once used in most of what is now called France, before Charlemagne imposed the use of the Roman Rite throughout his domains; there is no connection between the Neo-Gallican uses and the pre-Carolingian liturgy. These books are the product of reforms of the commonly held Roman liturgical tradition, made solely at the initiative of the local clergy (whether the bishops, or the cathedral chapters, or both), without reference to the authority of Rome. This had been the norm in the Middle Ages, but was supposed to have ended with the Tridentine reforms, (many of which were rather slow to catch on in France.) When the See of Liège, for example, went to reform its Breviary, the reform was modelled on the Breviary of St Pius V, as is explicitly stated in the prenotanda. The Neo-Gallican books, on the other hand, make a concerted policy of ignoring decrees such as Quod a nobis and Quo primum, the bulls by which St Pius V promulgated the Tridentine Breviary and Missal respectively. The reforms in question, however, are notable not so much because they arose from one of the longest standing “tolerated” abuses in the Church’s history, but rather because they strayed well outside the bounds of liturgical variety which were generally accepted in the Middle Ages and afterwards. 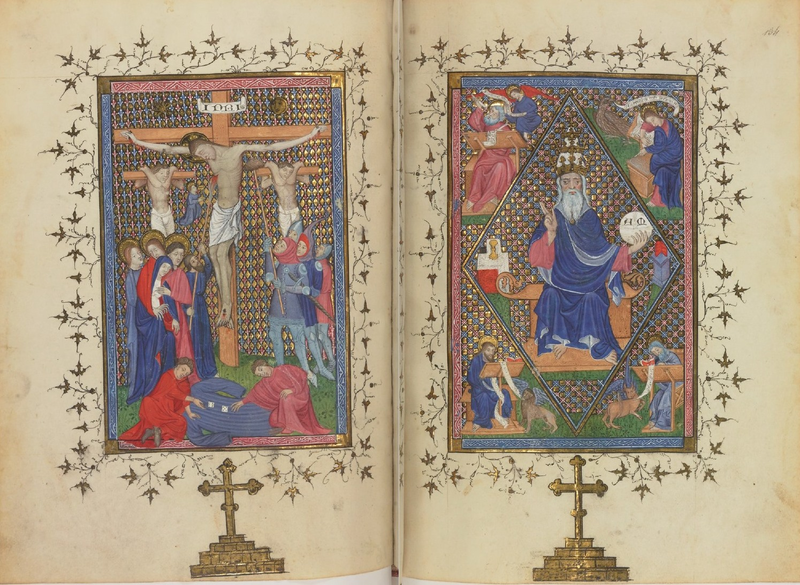 Many of the Neo-Gallican liturgies retained (with or without modifications) some of the historical medieval customs of their respective dioceses; a classic example would be the large number of Sequences in the Parisian Missal. Many of them also incorporated ideas which were perfectly fine in principle, such as an expanded corpus of Scriptural readings and Prefaces. As is so often the case, however, these ideas were frequently vitiated, or altogether ruined, by the deadly combination of a lack of respect for antiquity and tradition (or serious misunderstanding of them), the importation of ideological concepts alien to Catholic liturgical practice, and an astonishing lack of literary taste. The great enemy of the Neo-Gallican movement, Dom Prosper Guéranger, at one point in his Institutions Liturgiques, speaks of these reforms as “Honteuses et criminelles mutilations, témérités coupables – shameful and criminal mutilations, rash acts deserving of condemnation.” By this, he refers to such changes as the removal of the Introit Gaudeamus omnes from the feast of All Saints, since one of the movement’s basic ideological conceits was that all such texts ought to be Biblical quotations. 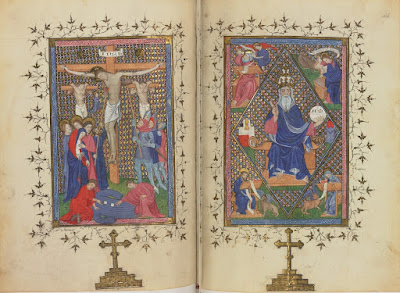 On similar grounds, the Parisian Breviary did not hesitate to massively rewrite the oldest pages of the Breviary, namely, the Tenebrae Offices and the Office of the Dead, or the 10th-century Office of the Trinity, or St Thomas Aquinas’ Office of Corpus Christi, just to name a few; the results are in every respect grossly inferior to the originals. 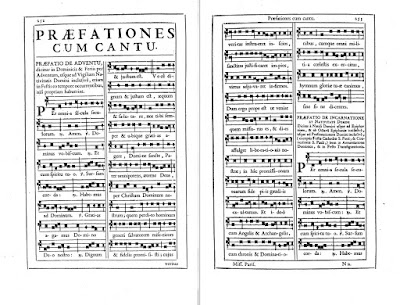 Many of these “criminal mutilations” are to be found in the first Neo-Gallican Parisian Missal, issued in 1685 “by the authority of… François de Harlay, …Archbishop of Paris… with the consent of the venerable (cathedral) chapter of that same church.” However, no change was yet made to the Prefaces from the medieval Use of Paris, which had the same eleven found in the Roman Missal, the standard corpus then in general use for centuries, plus two others, for the Wedding Mass and the Dedication of a Church. 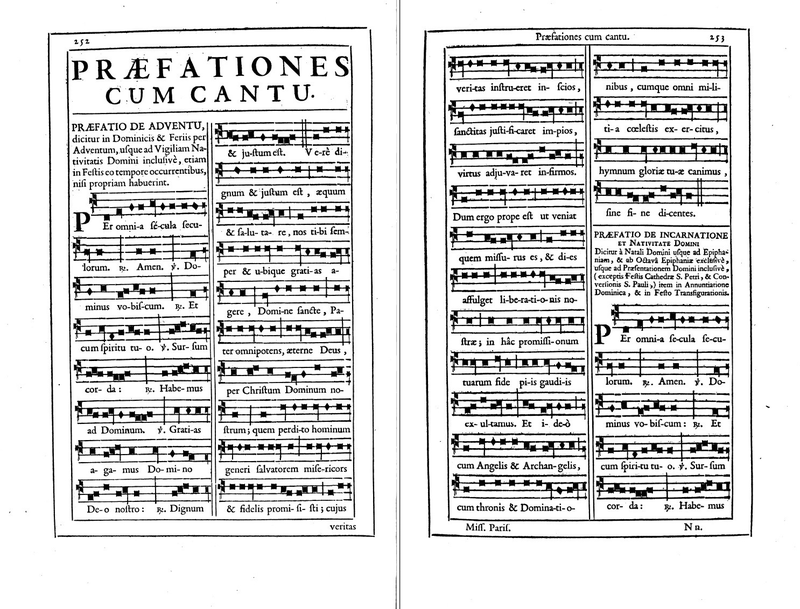 Only in the 1738 edition, published by Archbishop Charles de Vintimille, was this corpus expanded with several new Prefaces: for Advent, Holy Thursday (also said at votive Masses of the Sacrament), Corpus Christi, All Saints (also said on the feasts of Patron Saints), Saints Denys and Companions, and for Masses of the Dead. In the preface of this Missal, it is stated “…we have added certain Prefaces, where proper ones were lacking, (examples are given). Thus, we have attempted to draw near to the ancient custom of the Roman Church, … in which almost every Mass has its own Preface, as is done even now in the churches which use the Ambrosian Rite.” (This is probably one of the earliest examples of the widespread and highly useful error, a favorite of modern liturgists, that the Ambrosian Rite is an archaic form of the Roman Rite.) In point of fact, the addition of a handful of Prefaces comes nowhere near the ancient custom of the Roman Church attested in the ancient sacramentaries, or the current one of the Ambrosian. Nevertheless, I think it fair to say that these new Prefaces are really the best aspect of the 1738 Parisian Missal. They avoid the pained obsession with exact Scriptural quotes which does so much damage to so many other aspects of the Neo-Gallican books; the historical corpus is left unaltered, and the new compositions are for the most part well written. They have also been judged favorably by the Church. The Preface for the Dead from the 1738 Parisian Missal was added to the Roman Missal by Pope Benedict XV in 1919, the first such addition in more than eight centuries. Over the course of the 19th century, the dioceses of France abandoned their Neo-Gallican liturgical uses in favor of the Roman books, and it should be noted in passing that in the process, many customs were lost, some of them quite ancient, that might just as well have been retained. However, many of them were permitted to incorporate Neo-Gallican features into their diocesan propers; and in fact, permission was given to all the dioceses of France and Belgium to retain several of the new Prefaces, first among them, that of Advent. For this reason, they are often found in an appendix in Missals printed for use in those countries. There appear to be no grounds for using any of them outside of those places where a formal permission was given, since they are effectively part of the Propers of certain dioceses, no less than the feasts of local Saints. In those places where their use was officially approved, it ought to be regarded as not merely possible, but obligatory; the FIUV position paper on Prefaces is correct to note that the very idea of a Preface ad libitum is completely alien to the traditional liturgy. Here then is the Neo-Gallican preface of Advent. Vere dignum … Per Christum, Dominum nostrum. Quem pérdito hóminum géneri Salvatórem miséricors et fidélis promisisti: cuius véritas instrúeret inscios, sánctitas justificáret impios, virtus adiuváret infirmos. Dum ergo prope est ut veniat quem missúrus es, et dies affulget liberatiónis nostrae, in hac promissiónum tuárum fide, piis gaudiis exsultámus. Et ídeo etc. Truly…through Christ, Our Lord. Whom in Thy mercy and fidelity Thou didst promise as Savior to the lost race of men, that His truth might instruct the ignorant, His holiness justify the wicked, and His power help the weak. Therefore, since that the time is nigh that He Whom Thou art to send should come, and the day of our liberation should dawn, with this faith in Thy promises, we rejoice with holy exultation. And therefore etc.